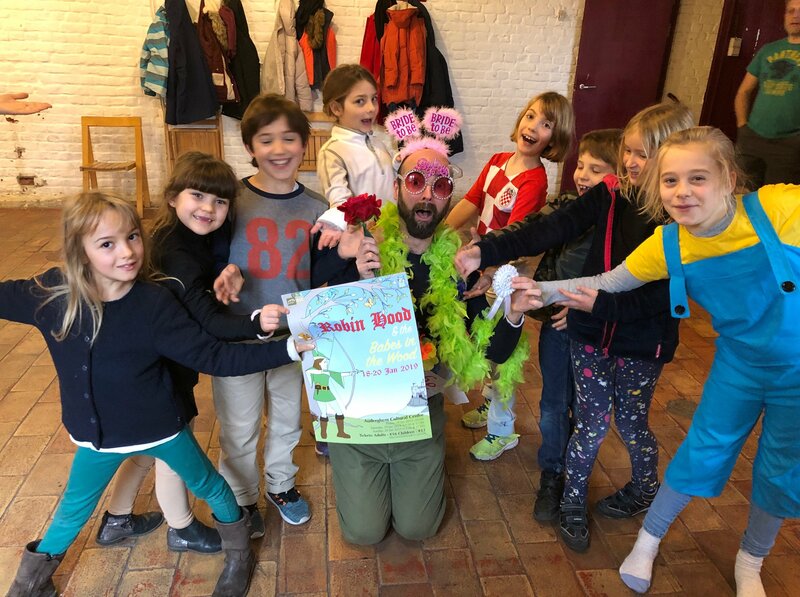 As the 110-year-old English Comedy Club in Brussels prepares to put on its latest pantomime, Robin Hood and the Babes in the Wood, we ask its producer and ECC chair Kerry Lydon about the group's work. When did the English Comedy Club begin? The English Comedy Club was started in 1909 by a group of British people living in Brussels at that time who were interested in putting on some English-language theatre. It’s been around for 110 years and even carried on producing plays during both world wars. In the early days there weren’t that many people around, so they tended to get the same people performing in all the shows. They would direct one year and then be in a play the following year. They were a small group of people, but they put on lots of shows. The opening night of productions back then was a black-tie affair and very different to what we have today. Also, at that time the ECC had patrons, two of whom were the mayor of Brussels and the British ambassador. Why did British people come to Brussels at that time? As companies expanded, they began to open offices in Europe, even before the UK joined the EU, and they would have sent English-speaking employees to work in Brussels. In 1973 when the UK joined the European Union lots more British people came over and the ECC expanded somewhat and they had lots more people getting involved in the shows and coming to see the shows. Where does the name English Comedy Club come from? Comedy comes from old English really, as you may know in French comédie means theatre – so it was essentially the English Theatre Group but that was how it was described in the olden times. We have encountered a couple of issues with that name since then because these days ‘comedie’ tends to mean humour and sometimes we get confused with the group called English Comedy Brussels. People often ask us when a certain comedian is coming to town. Of course we have to tell them that that’s a different group, so that’s why we tend to go by the moniker ECC more so than the English Comedy Club. How many members are in the ECC today? The ECC when it began was a membership organisation and you had to pay a small membership fee in order to be part of the organisation. In return you would get discounts on tickets and things like that, when you came to see a performance. As the membership began to swell, we decided to do away with the membership fee and now if people are involved in a production, they are essentially a member of the ECC community. So, it’s difficult to say what our membership is at the moment. The English-speaking community has grown a lot since the ECC first began. We now don’t have just British people as part of the group. But it is essentially English-speaking theatre. However, we tend to focus on British plays as opposed to Irish plays which the Irish Theatre Group does, or American plays which the American Theatre Society does or Shakespeare plays which the Brussels Shakespeare Society does. But we tend to find that, for English-language theatre in Brussels, a lot of the same people tend to work on shows for all the various groups. When a play is being performed, people come to audition, help backstage - it’s very much a community and not just only for Brits. How do people find out about auditions and performances? We have a mailing list which used to be very large but with the recent inroads in to GDPR we have had to cut the membership because people haven’t re-subscribed following the notification email. As a result, the list has shrunk a little bit. But using platforms such as Facebook and the ticket booking process, we are now trying to persuade people re-subscribe. 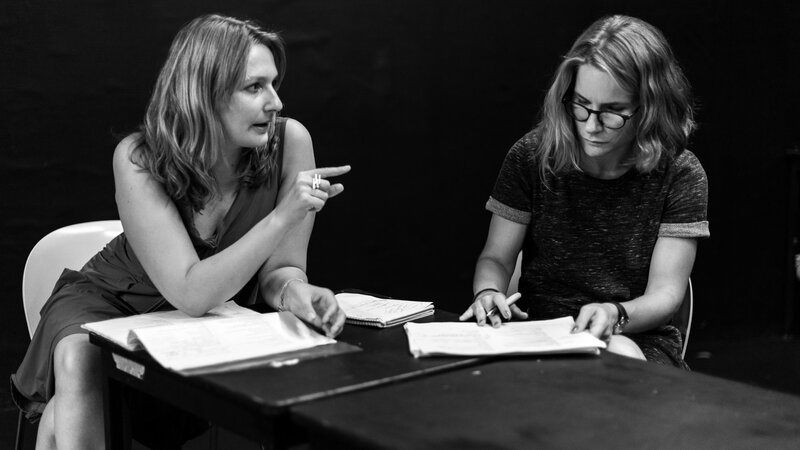 As well as information about what we’re doing, the newsletter also has community news and in-depth interviews with people involved in the production and a little bit more background on the productions; rather than just a synopsis of the play. Where does the ECC perform? 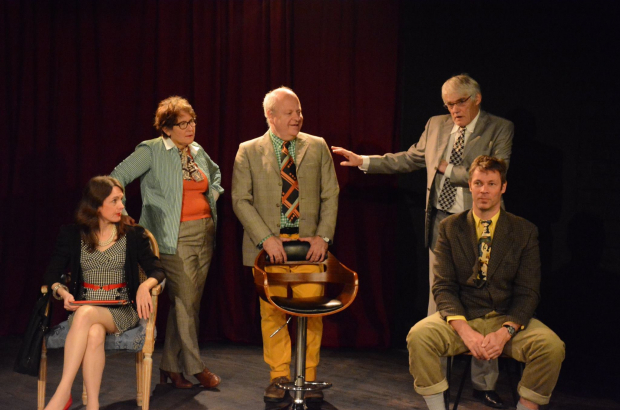 We own a theatre space together with the Irish and American theatre groups called The Warehouse in Schaerbeek. In this theatre we have a small studio of about 60 seats, we have rehearsal rooms, a committee room, a workshop to build sets, and a costume and props storage area. Building the sets used to be very difficult and people would have offered us their garages, so we’re very grateful now to have a focal point for the whole English-speaking community. The Warehouse is a great asset which was bought about 25 years ago. Prior to this we had to find rehearsal space and I have heard stories about a bar in the Sablon area that was often used for rehearsals and then of course for a drink afterwards and for a drink after the shows. We have often used other theatres such as the Studio Theatre at the Bozar and other theatres around Brussels if we want to put on a bigger production where we need to sell more seats. How many ECC productions are performed in a year? The ECC puts on three shows per year and we tend to put those on in our Studio Theatre – our home. But we also put on a pantomime once a year and that takes place in the Auderghem Cultural Centre, as lots of people want to see this show and it needs a big stage. What pantomime are you doing this year? This year we are doing Robin Hood and the Babes in the Wood, directed by Andy Fisk. The first pantomime we ever did was in 1974 and that was Aladdin. At that time pantomimes were put on every two or three years because they need a lot of backstage help and a lot of people in the chorus, so it’s a really big production and can exhaust some of our resources. Back then we didn’t have a huge amount of people involved in the theatre group, however, in the last six years, as membership has increased, we have put on a pantomime every year. Robin Hood and Babes in the Wood is the sixth pantomime that we have been doing in the modern era. We’ve got a group together that really enjoy doing the pantomime each year and some of the children come back yearly to perform in the pantomime. 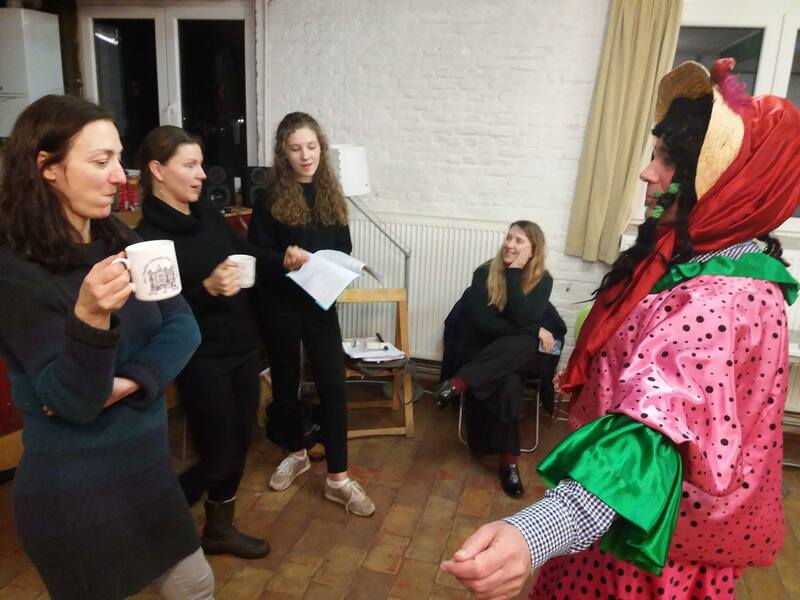 Leading on from that, for the first time in the summer of 2018 we had a children’s summer school which was attended by a lot of the children that had been involved in the pantomime. Which pantomime has been the most popular? One of our popular pantomimes was Cinderella, because that is the most popular pantomime that there is. It was very well received and one of the most spectacular things for us was the transformation of Cinderella’s dress that the costume ladies did a great job on. We tend to find that we’re building year on year with our audience because more people hear about it through word of mouth. Last year, in 2018, we sold about 75% of the seats which, considering it’s a 600-seat theatre, for five performances is quite impressive and we’re hoping that we’ll be able to beat that again this year. What do the children learn at the summer school? The children’s summer school of 2018 was the ECC’s first summer school for children and we hope to run it for the next few summers. ECC member Steve O’Byrne got together some different teachers and we had about 35 students ranging in age from seven to 14. They learnt how to act, sing, make a programme, how to do lights and sound, stage management and props and at the end of the week, there was a small production for their parents and anybody that wanted to come along. We based that production loosely on a script about Robin Hood and Babes in the Wood because, of course, that’s the pantomime that we’re doing this year. Naturally, some of the children from the summer school came along and auditioned and are now involved in the show. How is the ECC funded? We’re completely self-funded, we earn our money from ticket sales which we use for the next production. We don’t have any sponsorship. We earn a substantial amount of revenue from the pantomime each year, however, the profits from the sale of the merchandise that we sell at the pantomime is always donated to a charity in Brussels. This year, 2019, the chosen charity is Serve the City, a charity that works with the homeless and refugees. Is there any ‘stand-out’ member in ECC’s history? There is a festival that takes place every year called FEATS, an anglophone theatre festival, and one of the awards is called The Blackie which is named after one ECC chairperson called Mr. E.A. Blackwell, Blackie as he was known, because he was such a prominent figure in the community. He was chair of the ECC and one of the founders of FEATS in 1976. 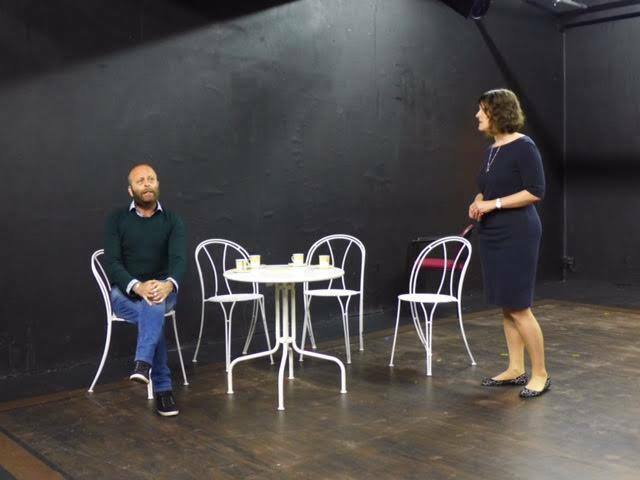 When he came to Brussels with his wife and young family, he wanted to get involved in English-speaking theatre and he discovered the ECC. He did a great job in developing the ECC over the following 24 years, but he sadly passed away. 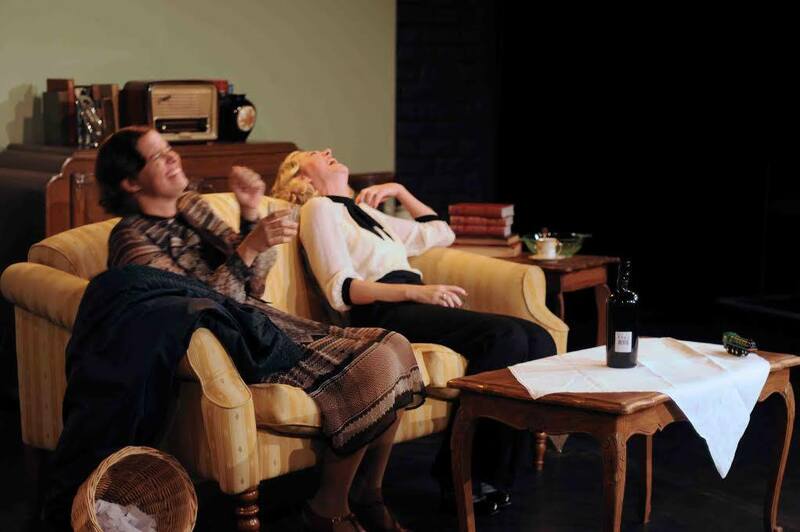 However, his widow comes along to all our productions and she comes regularly to our monthly play readings. His son was also the treasurer of the ECC for a few years and is also heavily involved. Has the Brexit referendum had an impact on ECC membership or audiences? We haven’t really seen a big change in ticket sales since Brexit appeared – for the last couple of shows we’ve done we’ve sold out. So we haven’t seen such a huge dent in our membership or in our audiences but things are changing slightly. Where we used to see mainly English and British surnames on our subscription list, we’re getting a lot more Eastern European surnames, people who are obviously not native English speakers are coming to see our shows and that’s also reflected in some of the directors that we’ve had for some of our more recent shows. This year, for example, we had a production called The Father, directed by a first-time director who comes from Estonia. She had been involved in English-language theatre for a long time and had a passion for directing this particular play so we gave her the opportunity. Likewise, next season we’ll have a young Spanish actress who is going to direct for the first time. We are broadening our scope and not just involving native English speakers and British people because the world is becoming much more international. Obviously, we try and focus on English plays or English translations of foreign plays and we try to keep some English element but we’re certainly not a British or English-only organisation any more.